Henley Junior crews competed at the annual Maidenhead Junior regatta on Sunday with another brace of wins to add to the highly successful season for the club. Four out of the five crews entered reached their respective finals, with two crews coming home with winners medals. 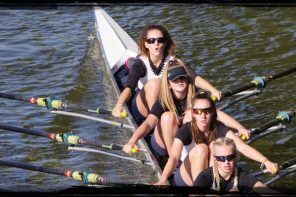 The WJ13 A division coxed quad of Felicity Parfitt, Jess Arlett, Sophia Hahn, Ameila Crick and cox Emilene Warner reached their final to compete against old adversaries Headington School. 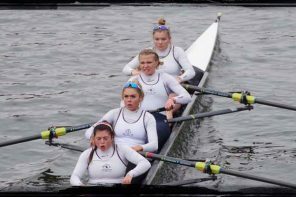 The crew had beaten the Headington boat in the first round, but the school performed well in the repecharge to meet Henley again in the final. 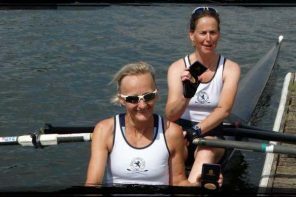 The Henley crew led for most of the 500m course but were unfortunate to lose out to a late charge by Headington. The WJ13 B division coxed quad crew of Livvy Peterson, Isabel Bach, Esther Morgan, Ruby Borg and Maya Andrews with Bobbi Miles as cox reached the final after four rounds. In a closely fought race, the Henley girls lost by half a length to Guildford Rowing Club. The boys J13 A division coxed quad of Tom Crook, Jack Spiers, Oliver Taylor, Henry Peters and cox Joe Edwards had a straight final against a Guildford boys crew and beat them easily. 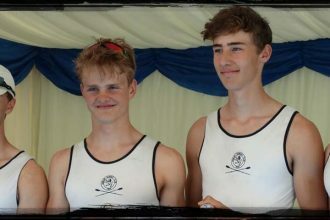 The J13 B division had races throughout the day, and the Henley crew of Jake Collins, Connor Brown, Georgia Brown (an honorary boy on the day as allowed by the rules for this division), Joe Edwards and Jack Spiers as cox raced four times to meet a Guildford boat in the final. In one of the final races of the day, the Henley crew took the opportunity to capitalise on their A division teammates win over Guildford earlier and they commanded the race to win by just over a length.